The CURS100 lets a Campbell Scientific datalogger measure a sensor or output device that outputs a current signal (for example, 4 to 20 mA). 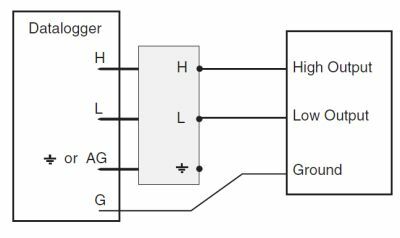 It converts the current signal to a voltage signal. 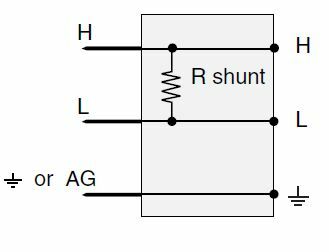 The CURS100 uses a 100 Ω resistor for the current shunt that allows currents up to 25 mA to be read on a ±2500 mV range (CR10X, CR510) and currents up to 50 mA to be read on a ±5000 mV range (CR800, CR850, CR1000, CR3000, CR5000, CR9000X). Our multiplexers are compatible with the CURS100. Current CR10X Wiring Panels can accommodate both the CURS100 and the cover associated with the CR10XTCR (reference thermistor for thermocouple measurements). Specifically, the physical configuration of the thermocouple cover, the datalogger input terminals, and the terminal input modules allow sufficient room for the cover to be used with the CURS100 attached. In contrast, older CR10TCR covers are not deep enough. 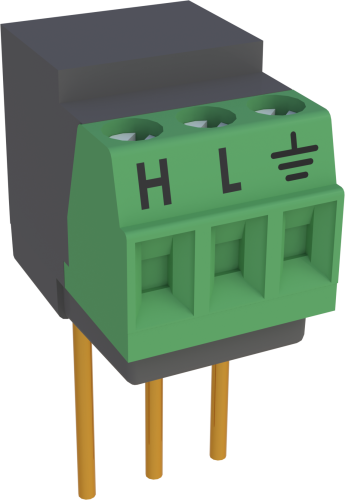 The CURS100 output is measured with VoltDiff Instruction in CRBasic and with Instruction 2 (Differential Voltage) in Edlog. The CURS100 consumes one differential analog input; an adjacent analog ground channel accepts the analog "ground prong" of the CURS100. Not all datalogger terminal strips have this sequence on all channels, so please check your datalogger's wiring panel to confirm channel assignments, especially if you plan to use multiple terminal input modules.